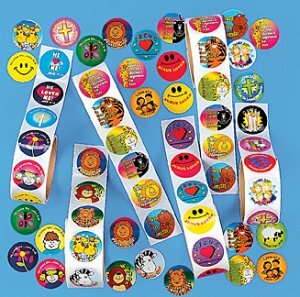 Religious Stickers - mega Sunday School pack of 100. Ideal for Sunday Schools and Bible Classes. Each value 100 pack is a lucky dip - one of the rolls illustrated in the picture. Each sticker measures 4cm.